TUESDAY, Nov. 8, 2016 (HealthDay News) -- Tens of millions of people worldwide suffer from memory loss and mental impairment due to dementia. While there's no cure, medication may temporarily improve some symptoms. Proper treatment, however, depends on identifying the type of dementia and early detection. A new study shows that MRI brain scans can help doctors tell which people with certain thinking and memory problems might go on to develop dementia with Lewy bodies rather than Alzheimer's disease. The researchers found that scans from people who eventually developed Lewy body dementia showed a lack of shrinkage in a portion of the brain related to memory, known as the hippocampus. "Identifying people with mild cognitive impairment at risk for dementia with Lewy bodies is critical for early interventions with the potential treatments emerging in the field," said study author Dr. Kejal Kantarci. She's a radiologist at the Mayo Clinic in Rochester, Minn.
"Early diagnosis also helps target appropriate treatments, including what medications not to give. For example, as many as 50 percent of people with Lewy body disease have severe reactions to antipsychotic medications," she noted. Starting in 2005, Kantarci and her colleagues followed 160 people with mild thinking and memory problems -- called cognitive impairment. Participants had MRI brain scans to measure the size of the hippocampus. 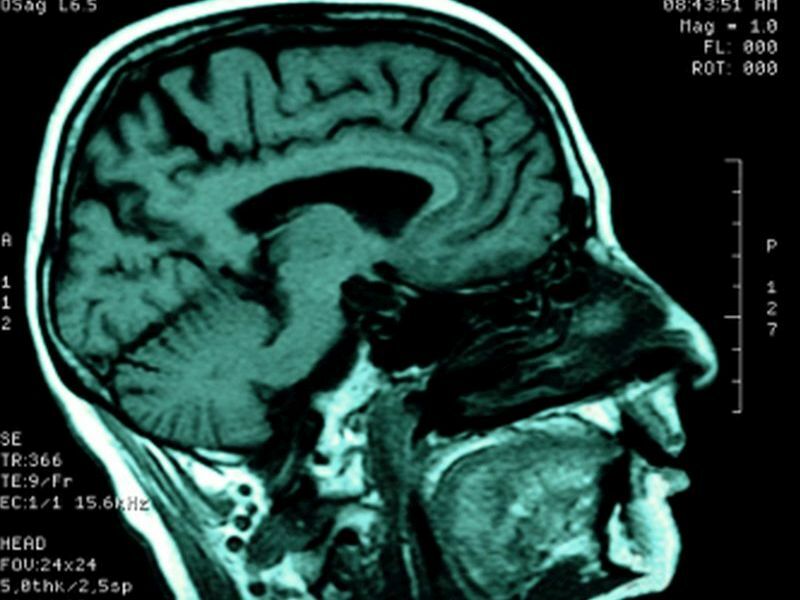 MRI uses a powerful magnetic field, radio waves, and a computer to produce detailed pictures of the brain. Kantarci said the volume of the hippocampus can be judged by visual inspection of MRI scans and with "clinical tools that radiologists use to measure the volume of this structure." For an average of two years, study participants had annual evaluations. During the course of the study, 61 people developed Alzheimer's disease. Twenty people progressed to probable dementia with Lewy bodies. Lewy bodies are abnormal clusters of protein that develop inside nerve cells. Lewy body dementia is the second most common form of degenerative dementia after Alzheimer's disease, Kantarci said. The researchers said that Lewy body dementia can only be diagnosed with certainty after the patient has died and an autopsy is performed. The researchers found that someone whose hippocampus stayed the same size was nearly six times more likely to develop Lewy body dementia than someone whose hippocampus shrunk in size. A total of 17 of the 20 people who were identified with probable Lewy body disease (85 percent) maintained normal volume in the hippocampus. Of the 61 participants who developed Alzheimer's, 37 (61 percent) had shrinkage in the hippocampus, the findings showed. Dr. Gisele Wolf-Klein, director of geriatric education at Northwell Health in Great Neck, N.Y., said that symptoms of Lewy body disease may include confusion, alertness that can vary from day to day, rigidity, visual hallucinations, and acting out dreams, sometimes violently. People with Lewy body dementia may also have movement abnormalities like those seen in Parkinson's disease, Wolf-Klein said. "There are no specific tests that can conclusively diagnose Alzheimer's disease, or Lewy body disease, and no treatment to slow down or stop the progression of these diseases," said Wolf-Klein. "However, it is important for physicians to differentiate the type of dementia because Lewy body disease symptoms do not respond well to the antipsychotic drugs often used in Alzheimer patients. More than half of Lewy body disease patients can have serious side effects resulting in acute confusion, delusions and hallucinations, and sudden change in consciousness," she explained. Kantarci said some patients with Lewy body dementia respond well to some Alzheimer's disease drugs. The study was published online Nov. 2 in Neurology, a journal of the American Academy of Neurology. The Lewy Body Dementia Association offers information on diagnosis, symptoms and treatment options.